Amazing that they do so much by hand; 60,000 bottles corked by hand! AIS guide quotes 25 euro retail so 38 in a restaurant was a good deal! Yes, it was a very good deal! Where was this tasting? Here in NY? Or in Italy? 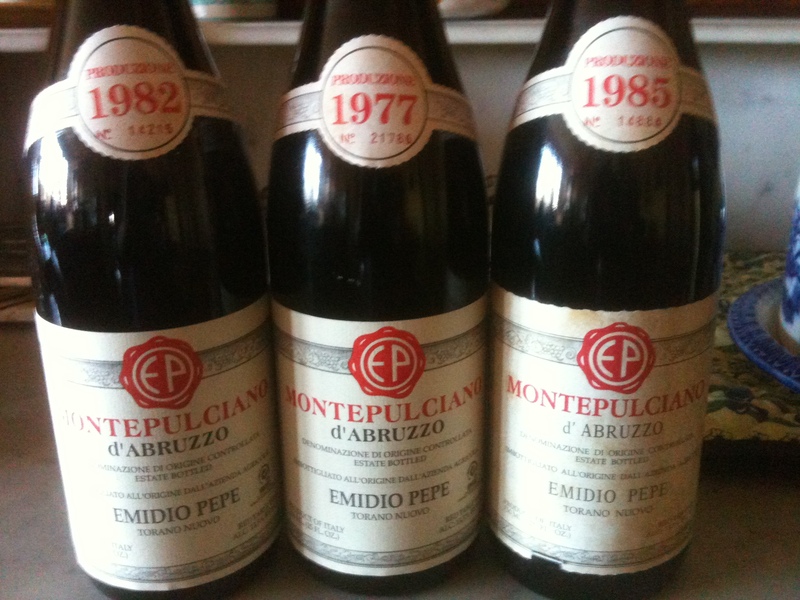 In either case, I envy you the chance to taste those 30 year old wines. Excellent article, so interesting to read this! I love their wines with passion ans I am so happy to see them here. They are wonderful wines and a bargain for the quality. 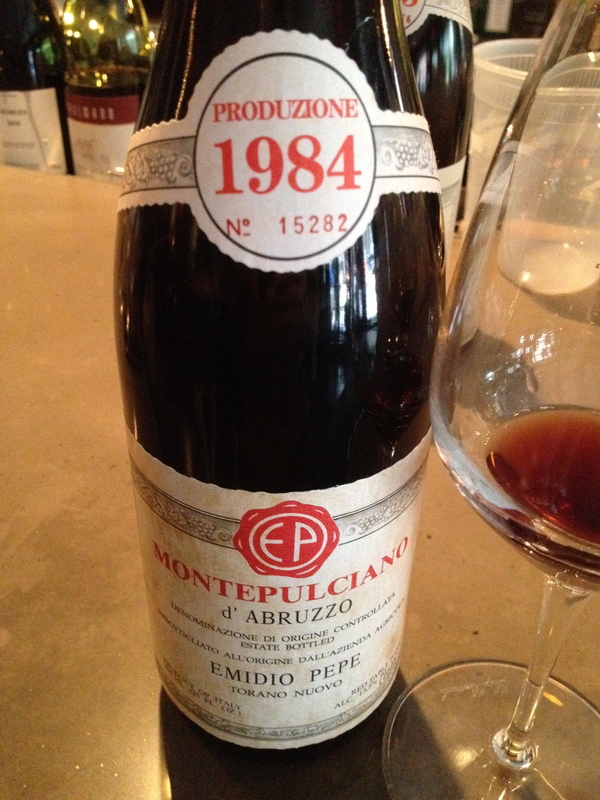 I once had a 1983 and it was still very youthful and fruity, a total surpirse. 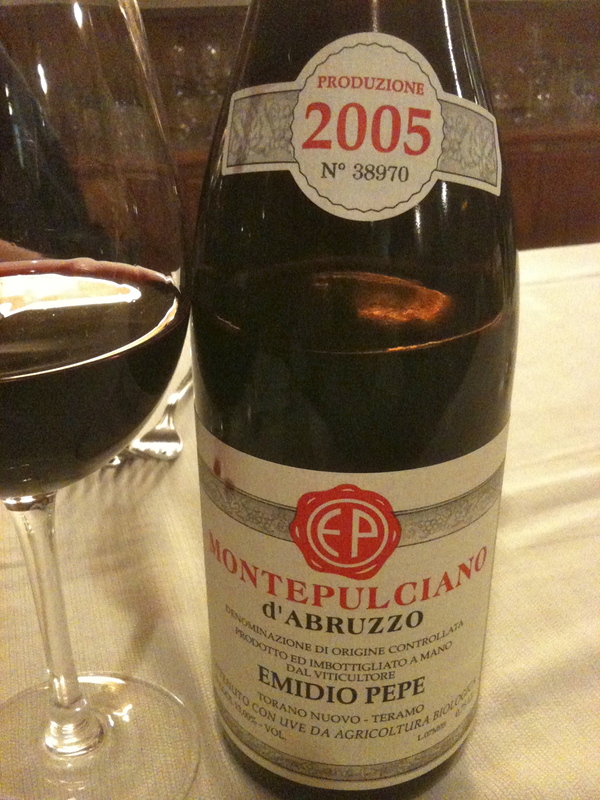 I love Montepulciano d’Abruzzo but many are very rustic and meant to be consumed while young. 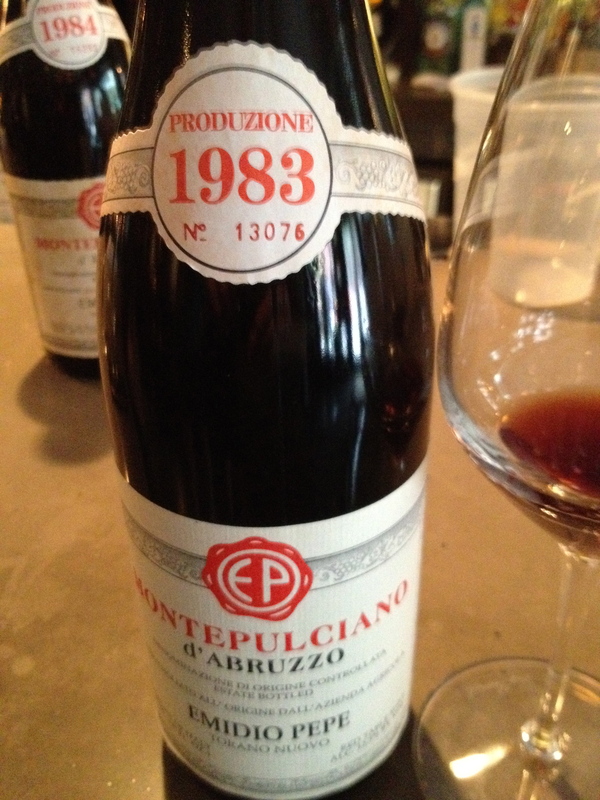 These wines are so age worthy but easily enjoyed both while young and when aged. Most appreciative and informative piece of down to earth, crystal and porcelain writing which, you’ll understand, goes far beyond wine, food…………. Mother nature does wonders but ultimately it’s us latter-day homo erectae who can put a nice twist on things. Far from your neck of the woods but I extend to all in that fantastic haven my ever best.